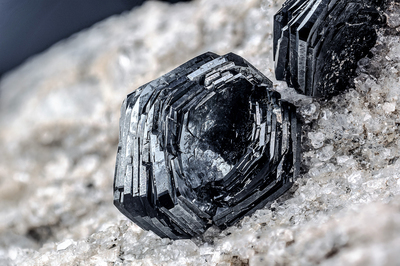 On the left two iron roses of black hematite, which partially penetrate each other, and on the right tabular black crystals, always of hematite, stacked on top of one another. This is an old find of the 1970s. C Collection and photo of Gianfranco Ciccolini.